Batman Youtube Video on Bat-Blog.com! I'm writing another post for this video I created back in January. It was just a simplistic little idea that I can't believe hadn't been done on Youtube before. It is now my highest viewed video on Youtube by...ahem...quite a lot. As of this writing, the video has been seen well over 2,200 times and it just keeps going! It's been a slow and steady climb but just yesterday, it was given quite a generous boost by Tommy over at Bat-Blog.com, a very popular blog dedicated to all things Batman! It's an awesome feeling seeing your work being discovered randomly on Youtube and, all of a sudden, posted on other websites! Tommy wrote a very nice little piece about it and, for the first time, it's being seen in other countries as well! Wow! Thanks, Tommy! You can visit his Bat-Blog site HERE and watch my video after the jump! 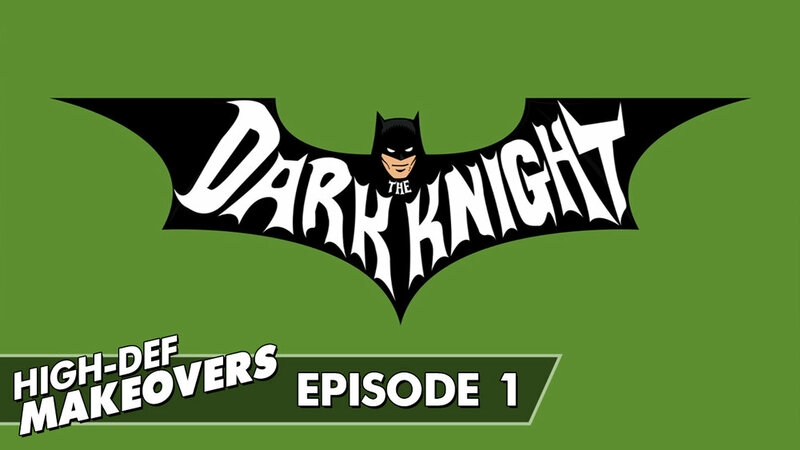 To help kick off the first episode of my new show, The DVD Shelf Movie Reviews, which features a review of the 2008 blockbuster The Dark Knight, I wanted to include a little bonus video. Have you ever wanted to see the classic 1966 Batman TV show opening credits sequence in high-definition widescreen? Me too! Sadly, this classic show has never been released to DVD meaning that any copies of the sequence that have circulated on YouTube are extremely low quality. So, since remakes are all the rage these days, why not do a remake of the classic theme with an updated look and a modern twist? Check out the video after the jump!